KRF UK specialises in the manufacture of interrupted perforated tube. Innovative tooling allows full customization of the tubes perforated pattern. This allows us to develop patterns that are going to suit an individual customers design needs. 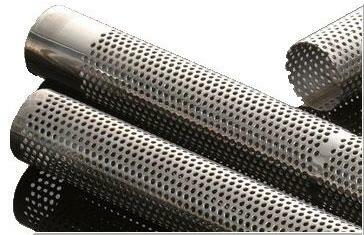 We can manufacture perforated tube in sizes ranging from 32 to 80mm O.D and up to 1500mm in length. Using the latest perforating technology we are capable of manufacturing to a very high standard, this leaves the customer with an aesthetically pleasing product that is superior to continuous perforated products. The process we use incorporate Production Part Approval Process (PPAP) and Advanced Product Quality Planning (APQP); this ensures product quality and stringent programme timing.